The much awaited festival is around the corner. Or perhaps, it is knocking at your door. Are you ready for it? Well, what else can I be talking of instead of the magnificent and gala celebration of Holi! 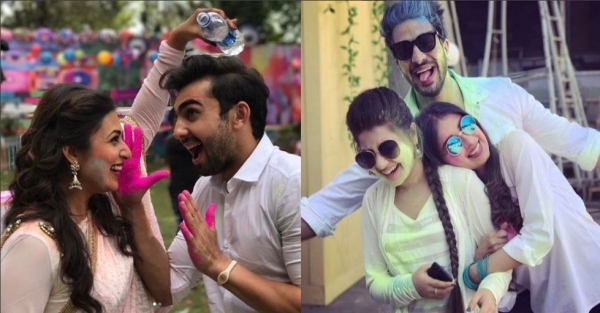 We are all aware of the fact that Holi is all about playing with colors and being with colors. Think of the sheer fun that you will be having on this particular day. Starting from the Holi party to the water fight to the bhang and the yummy munchies, everything about this day is exciting, frolicking and colorful! When you have some event right around you, you get serious as to what to wear. Well, when it’s Holi, wearing white has become a ritual. At the end of the day, you need to get the gorgeous look in Holi. At the same time, the clothing that you put on should make you feel comfortable so that you can enjoy every moment of the Holi celebration. 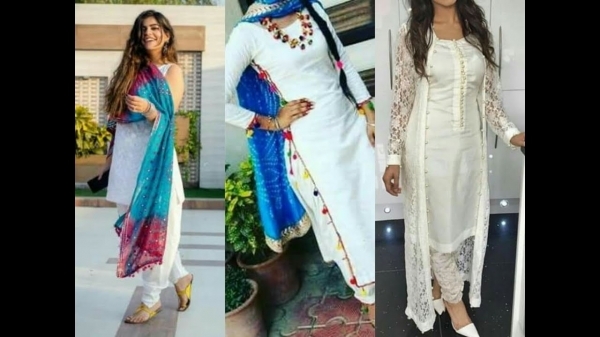 What to wear in Holi? 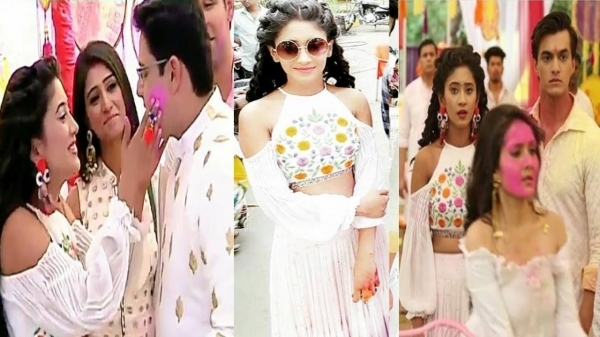 With all these things in mind, let’s take a look at the Holi festival clothes that can give you the best look at this season of Holi. The age old trick of Holi is to go for the monochromes. Whether it is an Indian attire or a western one, the all-white look in Holi makes you look like an on-screen diva. 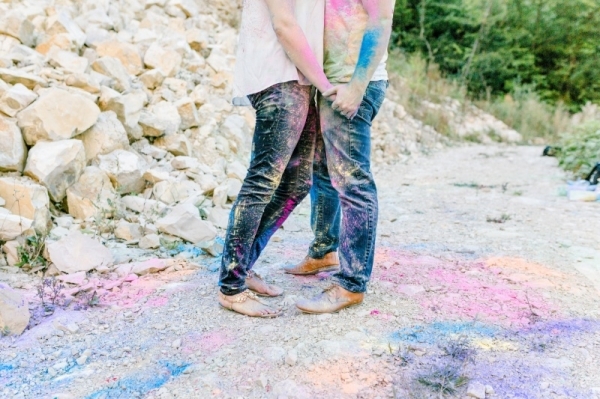 Actually, when the vibrant colors of Holi get splashed on your white dress, they become more visible. The hues look more colorful. As a result, you seem to stand out of the crowd with all the colors being visible on your dress. If you want to opt for something classic, go for a traditional Salwar Kameez with embroidery on it. This will surely highlight the dazzling diva in you! Or else, if you want to westernize your look, choose a cute summer dress with a pair of dangling earrings. For western dresses, the more you accessorize, the better it looks. Another trick to look elegant in white is to color block along with the white dress. Although it looks simple, yet it is stylish. For this dressing scheme, you have the option to play with some exotic color combinations. Turn on our fun mode with some off-beat colored pants or miniskirts or maxi dresses. It is time to go gaga with both monochromatic on one hand along with a splash of colors on the other hand. What else can be a better festival dress than mixing and matching colors! Although it has become mandatory to wear white on Holi, yet you can go for some experiments and innovations on it as well. Floral is the most suited print for any and every season. Whatever be the festival, floral prints never disappoint you. Well, if that is the case, why not add floral prints in Holi! After all, Holi is a festival of great pomp and show and these prints will add more joy to the festival of colors. Either you can go for floral prints on both the upper and bottom parts or you can pair a white tank top with a floral skirt. Instead of skirts, printed pants too look good. Now, the choice is yours! None of us remain completely dry on Holi. The best attire for resisting your wet self is the rugged denims that will not only comfort you but also make you look fashionable at the same time. As festival clothing, the denims suit well. Well, you must be wondering if the denims will go too heavy on you. Actually there is a trick here. You need to know to wear the right kind of fabric, which means wear something light. Not only are they a great option to protect your legs from drenching them excessively in colors, but also prevent you from a horrible wet look. Go carefree yet bold with a pair of denim hot pants. Nothing can give you such a cool beach look other than hot pants. Get the Holi vibes… feel it at its best! Pair up your tight hot pants with loose t-shirts or tank tops. Create a cool and breezy style statement this Holi! Another comfy piece of clothing is the harem pants. For creating a style statement, you can pair up the harem pants with a simple top or a kurti. Set your mood on high spirits this Holi with the most comfortable attire. When it’s Holi, why not try something Desi! Be the Desi Girl with a long printed kurti. Make your look desirable with kurti and a pair of denims. Look both fashionable as well as maintain your high traditions in these colorful festival clothes. Do not ever opt for clothes that are too tight on your body. The colorful waters are sure to make your clothes stick to your body. As a result, you will look vulgar. For having a good water balloon and color fight, do not forget to carry a pair of slippers. There might be things that may surprise you. You never know! Shout out ‘NO’ to dark colored clothes as they just do not fit into the Holi mood. If you have to avoid any kind of fashion disasters, do pay attention to your inner garments. When it is a morning party, a pair of funky sunglasses is a must. Whatever you wear, make sure it is fully cotton. Tie your hair tightly in a top knot bun and accessorize with feather earrings or jhumkas to get the classic Indian look. Team up light shades with white like pink, yellow, green, blue and the like. So, are you excited? Well, you should be. It’s Holi. It’s time to have some fun with your friends and family. Pick up the best clothes and have fun!